More and more people are coming to ski in Bulgaria recently. And no wonder – we do have some great ski resorts for skiers of all levels. 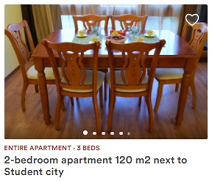 In addition, getting a complete package (accommodation + food + ski pass) may not be costly at all and you can arrange it all on your own, avoiding agencies and saving some money. Where to go? There are 3 top resorts in Bulgaria that are suitable for all types of skiers – Borovets, Bansko, Pamporovo. How to choose where to go? 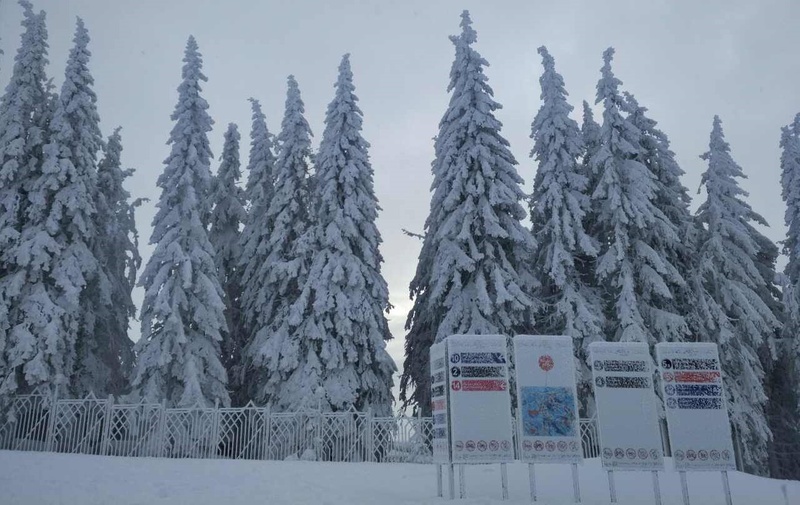 If you arrive at Sofia airport (served by low-cost airlines like Ryanair, Wizzair, Easyjet), easiest and fastest is to go to Borovets ski resort. There are inexpensive shuttles as well as private transfers right from the airport (see Bulgaria Transport for example). Or, you may want to rent a car for the period of your stay and visit mineral pools and historical attractions within 20 kms around Borovets. 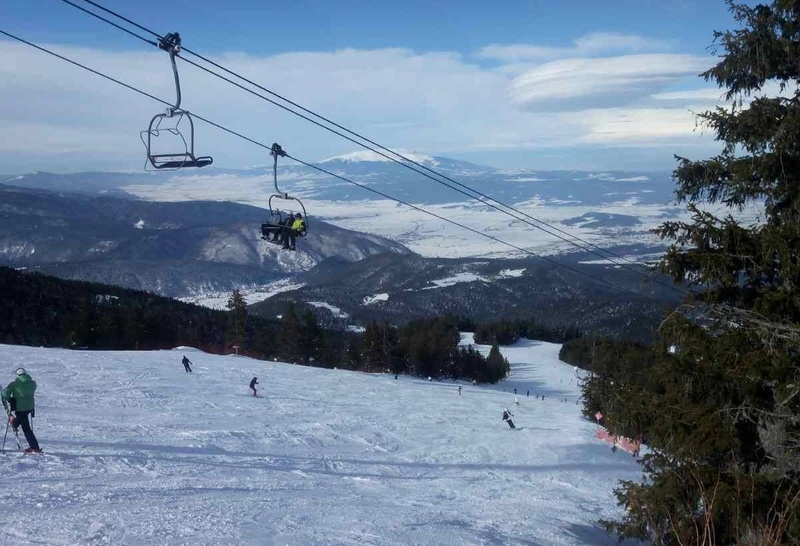 Roughly 70 km from the capital, Borovets has 25 ski slopes of various difficulty. There are easy slopes for kids / beginners right next to the hotels so pretty convenient for families. For advanced skiers – there are red and black slopes further up. There is also night skiing (from 5 pm to 9 pm), with a couple of intermediate ski slopes open so if you missed the daily skiing or simply enjoy evening skiing – you can take advantage of it. Have in mind that, since Borovets is fairly close to the capital, at weekends it might get busy. But during working days it is perfect – well groomed ski runs, little to no queues, amazing view to the resort and the villages nearby. Having a day off from skiing? Visit the fortress Tsari Mali Grad or the hot mineral pools of Belchin. 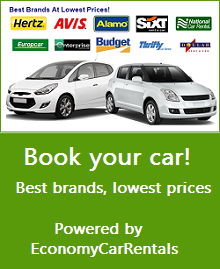 They are a quick 20-minute car ride from Borovets, if you’ve rented a car for your stay. But there should be hotel transfer options also available. Borovets has many good hotels and you can book them straight from Booking.com. Bansko is a resort more distanced from Sofia airport and would take 2 to 3 hour drive, either using a rented vehicle or shuttle. However, Bansko, being a traditional Bulgarian village with skiing facilities right into its center, has a special charm and atmosphere. Bansko has 18 ski slopes with a total length of 22 kms, of which 35% for beginners, 40% for intermediate and 25% for advanced skiers. It is more of an intermediate-skiers resort, though there are some kids facilities as well. It does get crowded when the weather is good, especially at weekends. Lifts are faster and more modern than those on Borovets. The village offers many traditional restaurants and pubs and in general – there are ample options for a night out. Visit the nearby Banya or Dobrinishte. Both have spa complexes with hot mineral water (in Bayna – the Thermal Spa at Rimska Banya hotel is really nice) and you can relax in full, spending an entire day in those. Both villages offer local cuisine in quality traditional restaurants. Just look around and pick among the many advertised places along the road. Again, you can book your accommodation straight from Booking.com, no need to pay extra for travel agency packages. Better pick a hotel offering a free ski bus, as some hotels are located a bit in the outskirts of Bansko. If you are renting a car, there is paid car parking right next to the base lift station. 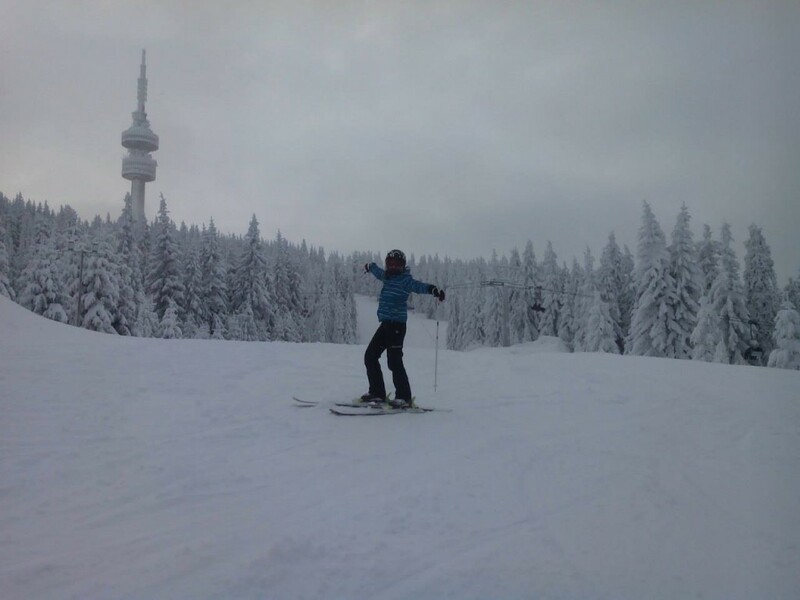 Together with the neaghbouring ski area Mechi chal, Pamporovo has about 20 ski slopes with a total length of 37 kms. Many of those are blue ones. There is evening skiing from 17.30 to 22 h.
Visit the Canyon of 46 waterfalls near Smolyan (amazing, especially in early spring when the waterfalls are full of water and spring flowers start showing up! ), Momchil’s fortress or Uhlovitsa cave. The latter are about 30 kms from Pamporovo so you either need shuttle transport (inquire at the hotel) or a rented car. The city of Smolyan (approx 10 kms from Pamporovo) is also a nice place to walk around and an inexpensive location to try the delicious local cuisine of Rhodopi region (try Klin, Patatnik as well as the bean dishes). There are several other ski slopes in Bulgaria, but they are pretty small areas and – better suited to shorter visits or more advanced skiers. But, I believe the 3 above mentioned would give you great options to enjoy skiing in Bulgaria. Go for it!